Welcome back everyone! Please find the overview of topics that your child will be covering this year in each year group. Year 4 have been learning the vocabulary for parts of the head & face in Spanish. They have used this vocabulary to write about and create a monster. They had to remember to make the adjective agree with the noun & that the adjective comes after the noun! The theme for our annual Spanish day this year was Spanish speaking countries. The children came to school dressed in the colours of a Spanish speaking country and made flags to wave. There were lots of activities throughout the day such as Spanish playground games, energetic Zumba dancing, Spanish biscuits to try and various Spanish themed activities in the classroom. At the end of the day the children came together to sing the 'Wavin' Flag' song in Spanish and wave their flags. Mrs Hiles would like to say a big thank you to Sainsburys supermarket in Keighley for their kind donation of vouchers which helped fund the prizes. Year 5 have been writing about their opinions on different sports. The pupils learnt the Spanish for various sports and the conjunction 'because' so that they could justify their opinions. They have created some beautiful pieces of writing. Please some examples of their work below. This week we held a Spanish themed Carnival day at Ingrow and everyone had a fantastic time. All the children looked amazing, dressed in vibrant colours. The children in KS2 had been asked to create a mask to wear on the day and the quality & creativity was outstanding. Children tasted South American foods in the taster cafe and tried Salsa dancing. The day started with a carnival themed dance, courtesy of Cusan Theatre Productions, followed by each year group in KS2 singing a song in Spanish. Mrs Hiles would like to say a very big thank you to everyone involved! Job Opportunities - Speaking more than one language gives you an edge over monolingual applicants. 90% of employers think foreign language skills are important. Other Cultures - Experiencing other cultures leads to an understanding of diverse lifestyles & customs. Speaking another language also improves the ability to communicate with people from different walks of life. Better English & Maths - Studying a foreign language will enhance your grammar skills & improve your analytical & interpretive capacities. This has been proven. Travel - To explore the real country and really get to know it, you must know the language. Your language ability will allow you to see & do things that many visitors cannot. Study / work abroad - Studying & working abroad can be the experience of a lifetime & immerse you fully into the cultural life of that country. A Richer Life - Enhance your life by studying another language & culture; expand your personal horizons. Enjoy life - learn learn a language! 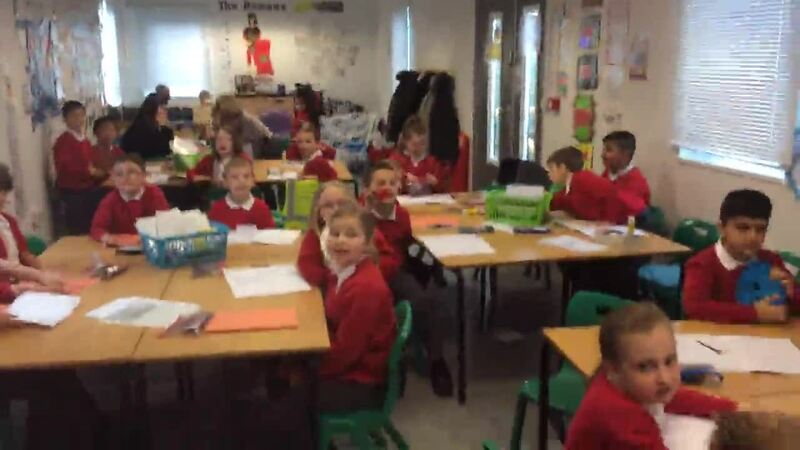 Watch the video of this Year 3 class singing a colour song in Spanish in order to practice their colours. Do you know all 11 colours in Spanish? We start to learn food vocabulary in Year 4 .They can start to practice some of the food words below. On Monday 20th June 2016 we held our first Spanish Day at Ingrow. During the course of the day children in KS2 got the opportunity to attend workshops in basic Flamenco Dancing, experience Spanish Tapas in the cafe as well as Spanish themed activities in the classroom. Our Spanish visitor stated "All the pupils really listened and joined in with the Flamenco Dances and Palmas very well. They all spoke with some Spanish with good accents and learnt some new words. Both the boys and the girls danced with attitude! The teachers dressed up and joined in with all the dances. Fantastico!" Remember there are Spanish activities on Purple Mash which can be accessed via the kids page on the Ingrow website.